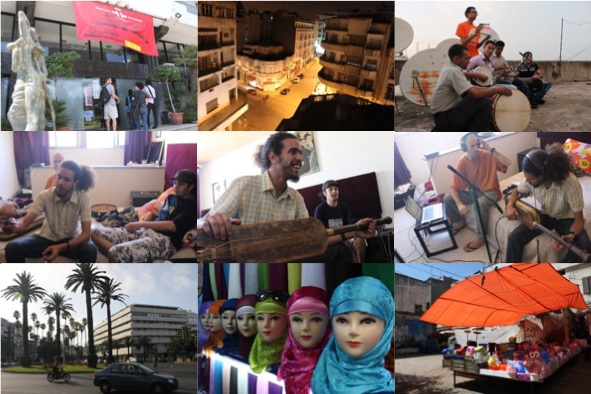 The first three eigenimages of the photos that I took during the Beyond Digital residency in Casablanca. I was curious whether I could learn something about my photography habits by analyzing the dominant compositional motifs in my photos, so I wrote a script that takes a set of input images and uses principal component analysis to extract "eigenimages" of the sort used in early face recognition algorithms. 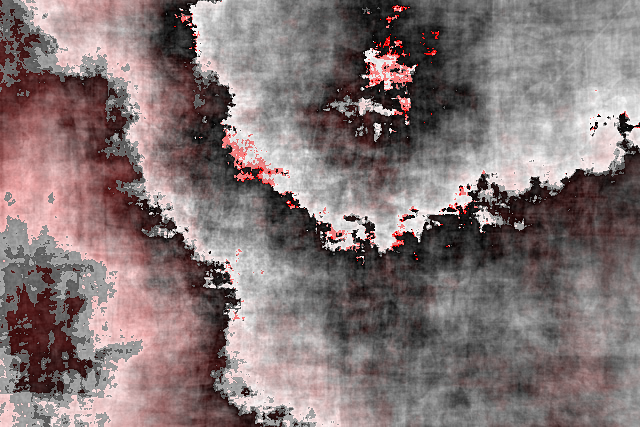 The source code requires NumPy, scikit-learn, and numm. Some of the input photos for the eigenphotos shown above. A B&W+R eigenphoto as featured in ARC Magazine.